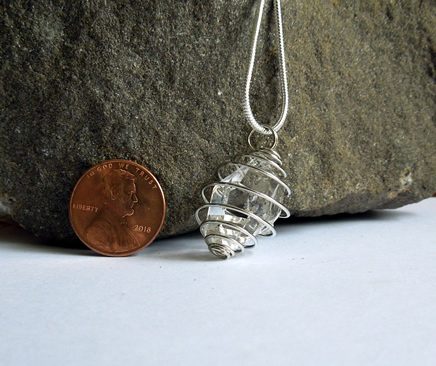 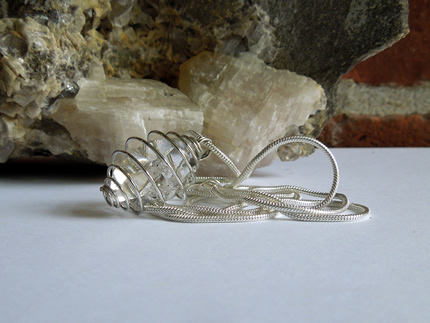 Notes: A water clear, double terminated Herkimer Diamond sets in a silver spiral memory wire pendant. 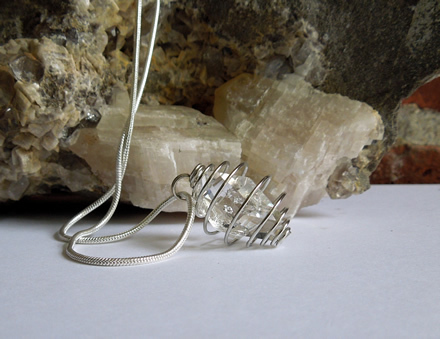 The natural quartz crystal has an unusual tabby shape. 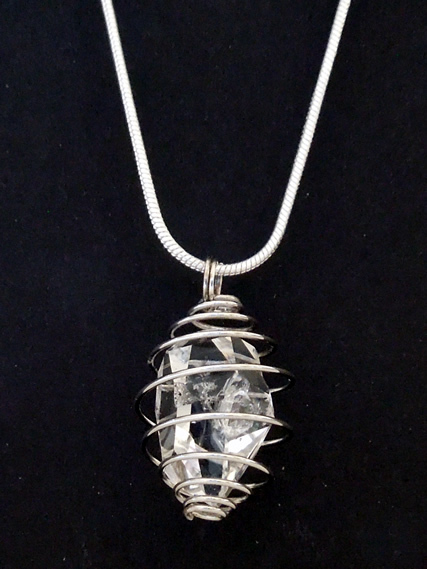 Larger than a penny, it's large for a raw Herkimer. 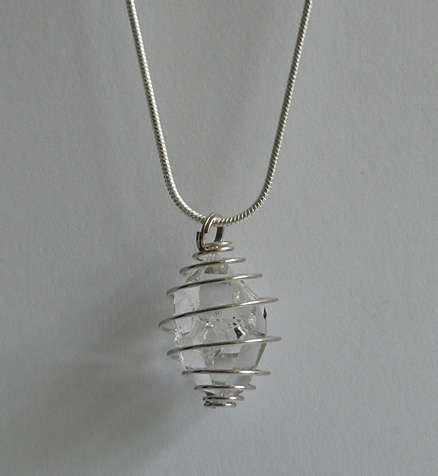 It measures 24x14x11.5 mm /25+ ct. A sparkly inclusion will strike rainbows in bright light. 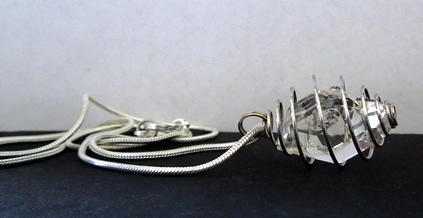 It hangs from an extra long 24" silver rope chain to easily slip over your head.